Ponsonby is iconic, diverse and urban. 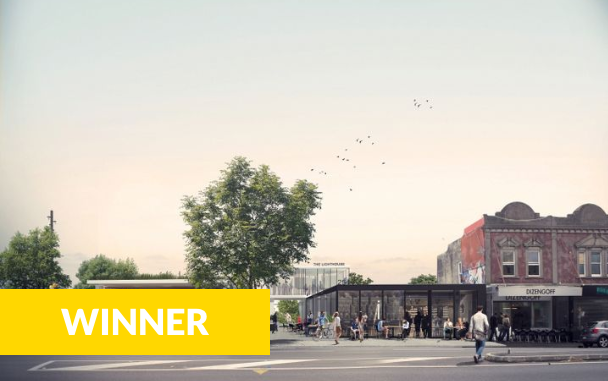 Our vision is to sensitively and adaptively re-use existing structures and features to create a hybrid open space and destination that captures the urbanity, spirit, and sense of place of Ponsonby Road. PARK+ weaves together the city (‘urban’) and park (‘green’) to reprogram the site through the fluid interaction of open space, architecture, community, and place. As the communities organising spine and connective tissue – that traces a historical pre-settlement walking route – the street is now a corridor for movement and place of interaction that supports its unique character, walkability, sociability and fine grain built form. Ponsonby is a place of continuous transformation, re-inventing and re-discovering itself through its rich layers of natural, cultural and social history. Our aspiration is to contribute to this dynamic and on-going re-invention. PARK+ will reflect contemporary values of democracy, inclusiveness, and sustainability through a simple, but rich, sequence of interwoven internal and external public spaces. A dynamic spatial network strategically located and equipped to simultaneously compliment and counter-balance the street and to emerge over time via a choreographed program of intervention, occupation, and events. The combination of traditionally binary public and private activities enables a high-performance landscape and potential for a self-funding governance model that enables a multitude of site occupations, activities, and definitions of ‘park’. Park+ has been developed through a community-led consultation process. This enables an ongoing relationship and dialogue with the community and the project’s participants beyond completion through an ongoing system of adaptable and collaborative interactions.